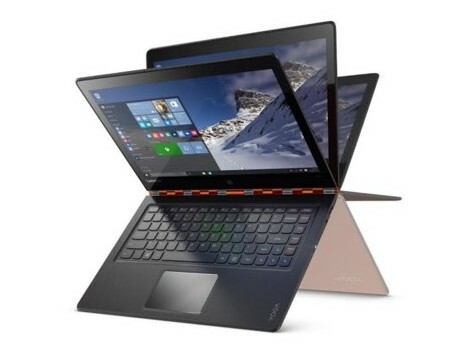 While Lenovo is betting on the market for convertibles and now just reinforce that commitment with the new Lenovo YOGA 900, equipment that inherit this unique hinge that we saw for example in the Lenovo Yoga Pro 3 and further integrate the new sixth-generation Intel Core processor. This device is joined by a new development in the environment of desktop PCs. Or rather, in the All-in-One. The Lenovo Yoga Home 900 integrates a 27-inch display in which we find fifth generation Intel processors – Lenovo not explain that decisively, NVIDIA GeForce 940A integrated graphics. According to Lenovo new features of equipment allow winning especially in the autonomy of the battery, and those responsible for the firm indicate that it have to 9 hours of video playback. The inclusion of Windows 10 and its 1.800 x 3.200 pixels IPS panel are attached to a storage capacity of 512 GB and a RAM memory up to 16 GB. For its part, the desktop computer – though the AiO devices are basically locked in portable screens with different sizes of diagonally follows the trend that marked the Lenovo Horizon and that allows to use them as desktop but also as “tablets giants”. The Lenovo Yoga 900 will go on sale in mid-November for prices starting from 1,299 euro. For Lenovo Yoga Home 900 the price is 1,499 euro depending on the options and will be available from December.